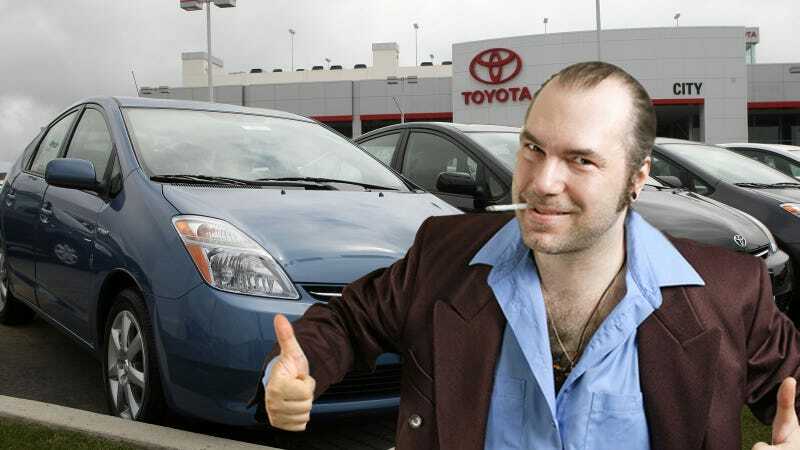 What do OPEC and Prius owners have in common? They both screw you when gas prices go up. Buyers looking to lower their fuel costs with an gas-sipping used car should wait as the value of those vehicles likely peaked this week. New data shows that while used cars are up an average of 5.4% across the board since late December — as we've already told you once in the past month, hybrid car prices increased 20.4%, compact cars jumped 21.4%, and used subcompacts were up 22.0% over the same period. But a drop in the national average fuel price from $3.98 to $3.71 is slowly trickling down to used car prices, with all fuel efficient vehicle segments showing slight declines over the last week. The suggestion is we've finally reached a peak for used fuel-efficient vehicles for the summer, which means anyone plopping down money on an older Civic will be paying the highest prices of the year. The analysts at Kelly Blue Book, who have been tracking used car value, are advising people to "shop with caution today, since values are likely to fall through the early part of summer. If possible, it would be best to hold off on purchasing a fuel-efficient vehicle until after summer, when values should be more stable." It's not a great time to buy used in general, so maybe instead of paying top dollar for an older fuel-saver it's one of those rare moments when picking a newer vehicle might make more sense. If you're holding on to an old Geo Metro or Nissan Altima Hybrid and thinking of parting with it the date indicates now may be the time to SELL, SELL, SELL.